This easy pantry recipe can be enjoyed anytime of year. 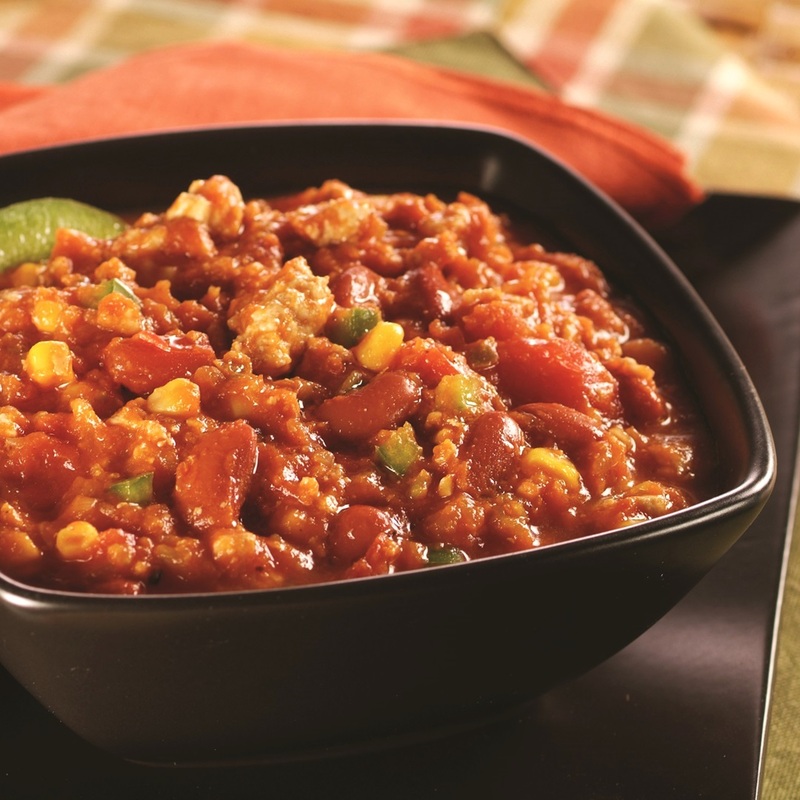 It's perfect for Memorial Day weekend, chili cook-offs, or a warm fall and winter meal. Heat the oil in a large saucepan over medium-high heat. Add the chopped bell pepper and onion and saute for 5 to 7 minutes, or until tender. Add the garlic and saute for 30 seconds. Add the meat and break it up as you cook it until browned, about 5 minutes. Drain off any excess liquid. Add the tomatoes with juice, pumpkin, tomato sauce, beans, chiles, corn, chili powder, cumin and black pepper. Bring the soup to a boil. Reduce the heat to low, cover, and let simmer, stirring occasionally, for 30 minutes.